I never thought PA’s ACCESS (or SNAP) card would look so good (a.k.a. Food Stamps). I’ve had my run with food stamps before in North Carolina and what a life saver. Most students don’t know that they are eligible for food stamps because of how little they make and how little they have in the bank. (Exceptions are: If you’re still a dependent on your parents). But for those of us who are working hard to eat well, great news! Fair Food Double Dollars is a cash-match program designed to increase access to fresh and healthy foods. For every $5 you spend at the Fair Food Farmstand they will give you $5 more for groceries , up to $20 a week. Spend $20, get $20 and use $40 of awesome healthy local food. Between the best yogurt I’ve ever eaten and local honey that helps my immune system fight pollen, I can always find apples, meat, cheese to use. Plus Holly (my super cute friend) works there and shes uber helpful. The City of Brotherly Love has something special. So special that a friend had to have it within the first 24 hours of arriving in our lovely snow swept city. What is it? If you live here you may know it already. Perhaps too well. 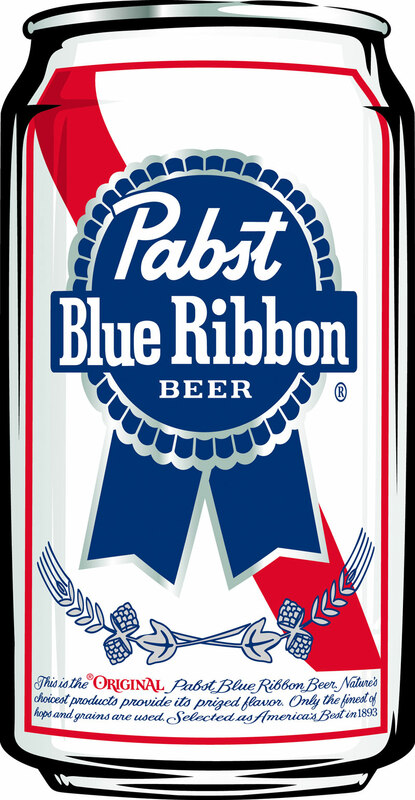 The City Special, a can of Pabst Blue Ribbon Beer (union made!) and a shot of house whiskey. Although not widely provided by every establishment (or even every dive bar) the city special still rings gloriously through Philadelphia. In some other places in the U.S. its called the Summer Special, only available for the season. Here in Philadelphia the City Special aims to keep you warm and hoppin’ year round. The Special isn’t for the cocktail apple-tini drinker or a local whiskey connoisseur. Come with expectations or an attitude will leave the custom a sore loser. The Special serves one purpose: intoxication for cheap. As my friend drank 2 City Specials and than “shared” my shot of whiskey, she soon found herself in a warm, drunk, and argumentative state (often a result of intoxication). We loudly laughed, argued over music, danced, and made our way home in the winter night….warm as cat by a fire place. Lets just say her apologies the next morning weren’t needed, we already knew the strength of the City Special and what great love it brings to the table. Oh, to be young again. What if you already are? Perhaps young at heart even. A recent story of a friend’s office mishap reminded me of how far a little professionalism can go. Professionalism and the rules that follow build big “boxes” in our adult (and young adult) lives. Rebel against the man! Sure, I’m down for a little anarchy. But I also know that if I want to reach my goals, dreams, aspirations, I won’t be going it alone. I’m going to have to work with others who may not share the same views. Think of professionalism as a type of courtesy measure that can have a rather serendipitous boomerang effect. (Definition of Serendipity…if you forgot). The first rule of any job of a professional nature is make your boss look good. Not always easy, but a pretty self explanatory idea. (we’ll talk later about the Supervisor). Second, and probably more important to those seeking jobs (there are quite a few of us out there) know the company culture. This is not always easy. How the hell do I figure out the “culture” of a place? There a few simple things that can help clarify what type of culture is being cultivated at the company. Dress Code. This may not seem like the most important thing to look at while you’re swimming through interviews, but it can say a lot about how people can expect to interact with you. Of course the business suit, tie or stalkings are often the traditional standard for a lot of professions. I was lucky enough to find one that loves jeans, sweaters, and cute pair of shoes every once in a while. A dear friend of mine works for big oil (yes, yes she does and I don’t smite her for it). She was made two fairly equal offers (if you know big oil, you know it was A LOT). She could have been happy with the pay and folks at either place, but she chose the one where she could wear comfortable clothes and that instilled Friday dress as ______ (fill in the blank) days. Dress code counts, read into it. Personal Benefits/Care for Employees. Check to see what the extras are. Whats the health coverage (yes please! ), dental, vision, retirement? (Maybe you haven’t thought of that yet…) Check into how many hours your “officially” work and what kind of extra or overtime are you expected to do. How do you accumulate sick days or vacations (if that’s even an option). Lunch Break? Do they provide public transit passes or reduced cost for work travel? A close friend of mine was offered several jobs in California, but only one offered to offset the cost of his move. Not by adding a little here or there to his upcoming paycheck, but laid out the $2000 worth of his move from the East all the way to the West Coast. The cost of moving wasn’t the only thing that swayed him, but it surely sweetened the pot. I don’t think California really knows what a deal they got for him either. Social Gatherings. Know that your company socializes. What do they do after work? Hit up a local bar for happy hour, create a community softball team, or once a month service projects? Do any of the folks you’ll work with seem to be connected in other ways than just work? Ask, whats your favorite hobby? I like roller derby and hula hoops. Interested in catching a bout (Philly Roller Girls) or making your own adult size hoop (Philadelphia Folk Fest)? I can show you where, in fact… you can even come with me! Lastly, when you are in a board meeting and exciting news is shared, and your colleges happily exchange nods of appreciation and congratulations, try not to shout WHOOO WHOOO with a pelvic thrust… no matter how excited you may be.